"DOKODEMO CHAIR" is a nickname for the wheelchair and baby stroller rental service offered by Toba City. "DOKODEMO" is a Japanese word meaning "anywhere". We named the service "DOKODEMO CHAIR"with the hope that tourists can easily visit anywhere they like. 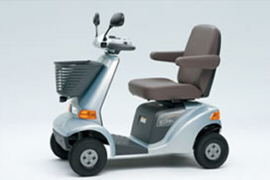 In Japan, if you rent a wheelchair in a certain facility, you usually need to return it before you leave. But while traveling you may visit more than one tourist facilities in a day, or move around by train or bus. You may want to stroll along the sea enjoying the sea breeze. You may often stay in one place for a couple of days. 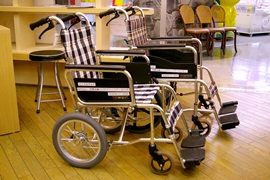 "DOKODEMO CHAIR" is a tourist service to meet the various needs of people with disability or elderly people. You can borrow a wheelchair or baby stroller without specifying the place or period of time you will use it. You can borrow wheelchairs and baby strollers at and return them to the seven rental hubs in Toba City. Wheelchairs that can be controlled by the user. They have large wheels and run smoothly. Designed to be pushed by a caregiver, they cannot be controlled by the wheelchair user. They are compact and easy to load into a car. You can use a wheelchair or baby stroller anywhere, but after use, please return it to a return hub in Toba City. You can use a wheelchair or baby stroller for up to one week. If you want to use it for longer, please renew the contract. When you rent, make sure to carefully read the written agreement and consent to the terms before you complete and sign it. Opening days and hours vary depending on the rental hub. Please contact each rental hub for details. You can borrow wheelchairs and baby strollers at the following seven rental hubs. You can return wheelchairs and baby strollers to the seven rental hubs above. As a general rule wheelchairs and baby strollers should be returned to the seven rental hubs listed above, but if you wish to return your rented wheelchair or baby stroller somewhere else, please use this form to mail your request to the Accessible Ise Shima. 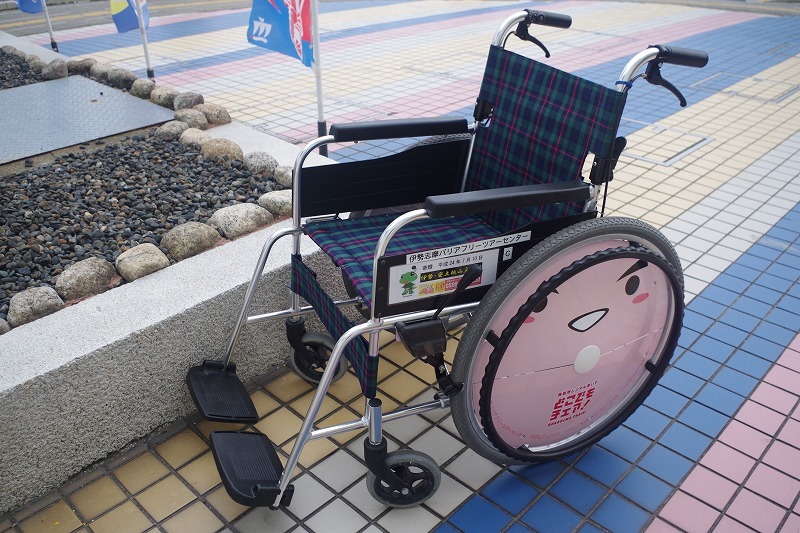 Other wheelchair rental services for wide use across Mie Prefecture. Remarks Reservations are required at least one week in advance. Remarks Return the vehicle within the same day you borrow it. Remarks Mobility electric scooter for elderly users available to rent for up to two hours.